ArcGIS was used to create grids by interpolating from seagrass sample data for all available years in the study. These grids were used to create the map images available for download on this site. 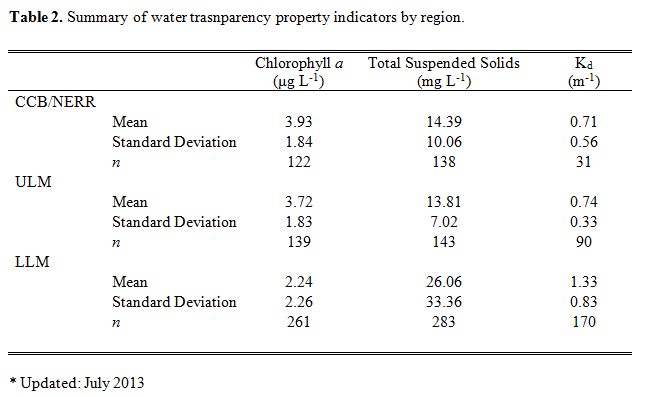 Results include seagrass coverage and abiotic variables such as salinity. 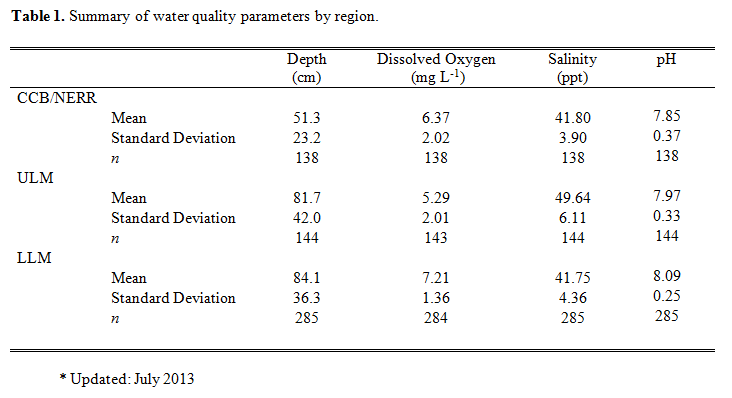 Carbon, nitrogen, phosphorus, and isotopic analyses are not included in these results. Data and metadata are archived at NCEI. Select datasets are also linked directly below for your convenience. This includes the HOBO conductivity and temperature data for 3 of the 4 stations shown in the map below. Station LLM West is currently deployed and has not been retrieved yet.